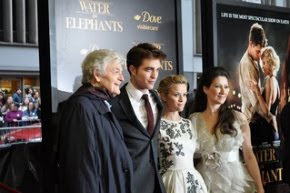 Robert Pattinson News: Stars Mention Rob: "He's a Lovely Guy"
Stars Mention Rob: "He's a Lovely Guy"
Several Rob mentions in the last few days, starting with his costar in Bel Ami - Holliday Grainger. Was she scared of the kissing scenes with Rob? 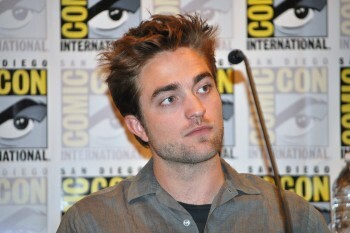 When asked if Rob had changed since becoming a global heartthrob, she laughed: "No, not at all. He's a lovely guy. Always has been." And boy does Rob leave an impression, just ask Morgan Turner (Mildred Pierce). Until "Mildred Pierce" came along, Turner's coolest assignment was a small role in "Remember Me" starring Robert Pattinson. It made her the envy of the schoolyard. "I didn't really get to talk to him," she reports of the "Twilight" hunk. "But I was in his presence. And that counts." Breaking Dawn Part 2 Preview Coming In February! Breaking Dawn DVD TV Spot: "Love Story"
Is Rob The Man You'd Trade Your Husband For? Daniel Radcliffe On Rob: "He's A Lovely Guy"
Can You Take It? More Of Georges In Bel Ami! Top Hat Cutie: New 'Bel Ami' Stills! Is Rob Attending Golden Globes? Yes!, No!, Maybe? Rob, Rob, Rob: All The Girls Talking Rob! Sarah Gadon On Rob's Fans: "He Has Like This CIA"